Washtenaw Community College strives to make a positive difference in people’s lives through accessible and excellent educational programs and services. In order to maintain the integrity of this mission, it is important that the college brand and identity remain clear and consistent. To support this mission, the visual identity standards have been outlined in this guide. 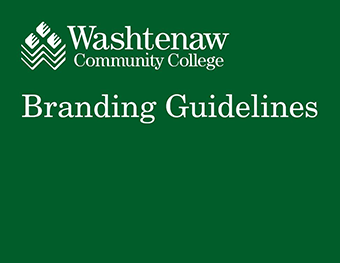 This guide is designed to define the Washtenaw Community College brand expression and aid in the creation of communication with its audience. Consistent use of these guidelines will bring a unified message to the communities it serves as well as its faculty and staff.